New Product – GeekBot V2! The GeekBot has evolved! Introducing the RobotGeek Geekbot V2 Basic Kit. The Basic Kit has everything you need to build a fully programmable rover robot, while the Core Kit gives you the battery, the chassis, and the servos to build a geekbot with your own Arduino board. 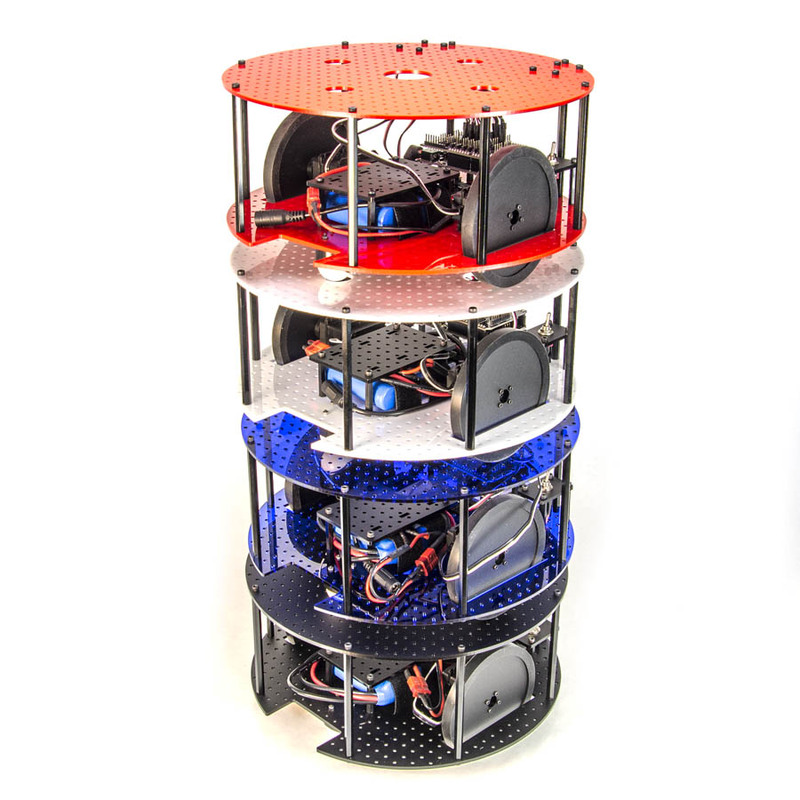 The GeekBot Rover is a highly flexible wheeled rover created from the ground up to be completely modular and easy to customize. Powered by two high speed continuous turn robot servos, GeekBot has a strong payload capability of 1kg/2.2lbs and moves fast at up to 0.4Mps / 1.3fps. Each Geekbot comes with a 4400mah 7.4V rechargeable Lithium Ion battery, allowing your Geekbot to run for hours! Integrated protection circuitry protects the battery from under/over voltage. Each kit comes with a wall-charger so you can recharge your battery when it runs low.